ASA Consultants, Inc. offers a full complement of consulting engineering services available to its clients. Specializing in all facets of the civil and structural engineering industry, we are organized in distinct service niches that include Transportation, Traffic Engineering, Site Development, Structural Engineering, Surveying and Construction Services. 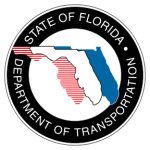 ASA Consultants is administratively pre-qualified with the Florida Department of Transportation to provide a variety of transportation engineering disciplines including minor, major, and complex roadway design, miscellaneous structures and minor bridge design, conventional bridge inspection and bridge load rating, and signing, pavement marking, and channelization. Our roadway engineers have successfully designed complex roadway widening/extensions, major interchanges, major/minor arterials, and roundabouts. In addition to their design expertise, our professionals perform design reviews and verification of the contractors’ quality control plan for design and specifications. They also review design calculations and drawings to verify compliance with the project requirements. Our bridge design and value engineering experience includes a wide range of bridge types such as segmental, long span, steel, and concrete beams. ASA also makes recommendations and provides design services for the rehabilitation and modification of existing bridges. Our professionals also provide Quality Control services for major/minor bridges. Asa Consulting has in house, state-certified, Construction Engineers and Inspection Technicians who perform materials testing and sampling, work zone traffic control services, and construction inspection to ensure the successful completion of transportation construction. Our office specializes in segmental bridge construction engineering services for all facets of construction including casting curves, geometry control, construction load analysis, design of temporary structures, post tensioning calculations, and shop drawing production. We will provide load rating/bridge inspection services related to AASHTO Specifications.